Scrubbing Or Exfoliating The Face: Harmful Or Helpful? Many of us have been convinced who suffer the angst of hormonal changes in our skin, that in order to keep our faces free of oil and debris and to fight acne, we must scrub our facial skin to get rid of old, dead skin in order to have beautiful clear skin. In part this is true, but it is the extent of which we pursue this practice, sometimes feverishly, that is causing the ongoing skin problems with what might otherwise be healthy skin. The reality is acne is prolonged, healthy skin is damaged, deterioration of collagen occurs causing permanent acne scarring, whereby accelerating the aging process on our faces. Many methods have been introduced into the marketplace, so it becomes a daunting task to know the wise thing to do. Marketing tactics of many skincare products purport to the consumer, "use this product daily and have beautiful, lustrous skin" or "this will help clear up acne when you use our product every day." What's The Harm Of Skin Exfoliation Practices? Unfortunately, the many commercial preparations and mechanical methods of removing dead skin cells, or for basic cleaning of the skin are overused and are too coarse or harsh to delicate facial tissues. Why we do this to ourselves is confusing because you're not getting your skin any cleaner adding this scrubbing ritual to your routine. For instance, your scrubbing brush tools are in a category of over consumption and will create problems for skin that weren't there before using one of these devices. Although the brush can be used safely for exfoliating the face, in most cases the advice given with this type of facial tool is to use them everyday for the removal of makeup and daily oily grime buildup on the skin. The advice even goes as far as to recommend twice per day usage. Here in lies the harm: as you can see from the two lists below, one presents irritating methods while the other offers gentler alternatives. So if this tool is used along with the rest of these products or other micro fine scrubbing ingredients that are normally considered gentle, certain types of skin conditions can occur that could go on to require repair or treatment from your dermatologist. To preface the list below, smoking and sun exposure along with pollutants in our atmosphere are the major causes for premature aging of our skin. 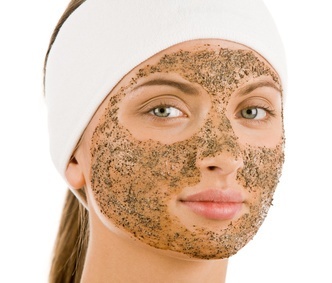 Over exfoliation contributes to this problem, but it is certainly not an overall cause for aging our skin. Dryness and irritation due to stripping the skin by not only removing dead cells but healthy ones as well, making it more difficult to maintain moisture on the face. Keeps skin in a constant state of inflammation something similar to a chemical peel, causing cells to break down and making the face more vulnerable to free radical damage. Stripping the skin of it's lipid barrier and compromising the acid mantle, including destroying good facial bacteria can cause a reaction dermatitis which in and of itself has it's own set of problems and can be difficult to clear up. Acne can actually worsen when over exfoliating the facial skin due to irritation, over stimulation of skin cells creating more sebum production and the face is no longer in correct balance for maintaining proper skin health. Any combination of these two lists, or just using gentle methods along with even your daily cleansing regimen can create and exacerbate many skin problems. Your cleansing products will also have a certain level of ingredients that offer exfoliation benefits. With all of these methods and ingredients available to the consumer there are easy ways to keep your skin nice and clean and show off a lovely polished surface without looking red faced. Remember, using a washcloth with your cleanser is already exfoliating, so to follow with a facial brush or other skin damaging scrub, your face will not be happy. Always treat acne and other skin conditions gently! Rice flour or oatmeal in a facial mask followed by a bit of scrubbing action before removal, and fruit acids in cleansers, moisturizers or facial serums are wonderful for doing the job well while greatly reducing the irritation factor. With these types of raw ingredients you can use them 2-3 times per week and skincare products like our ONATI Skin Care line can be used each and everyday. We also offer our "gentle to the skin" Micro Fiber Face Cloths. These are excellent for delicate skin types and gentle exfoliation each and every time you cleanse your face. Skin exfoliation is a good thing and will help keep our skin looking polished and refreshed as long as it is performed in the right doses. So as you can see with all these everyday rituals, it is easy to be overusing exfoliation practices without really realizing you are overusing exfoliating products. Treat your face and skin gently and it will sustain proper balance which provides overall improved skin health.